She's finally here! 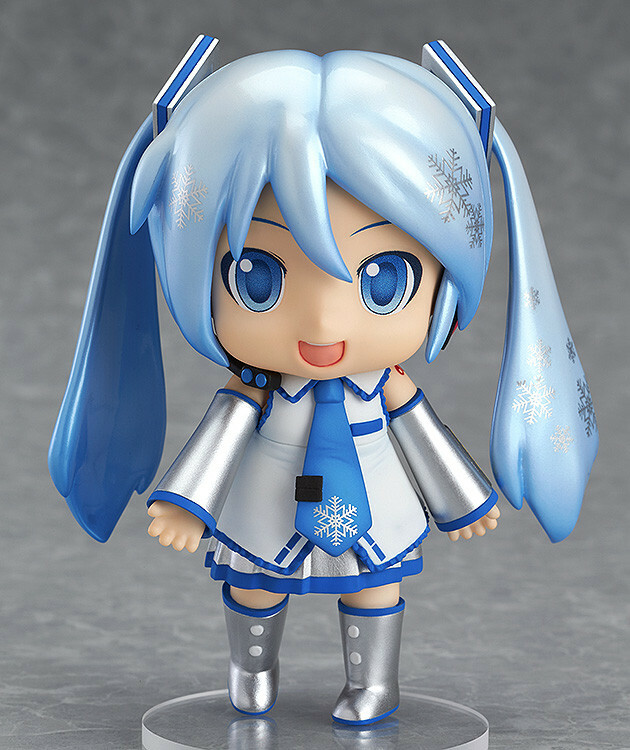 Enjoy the company of Mikudayo- even in Winter! 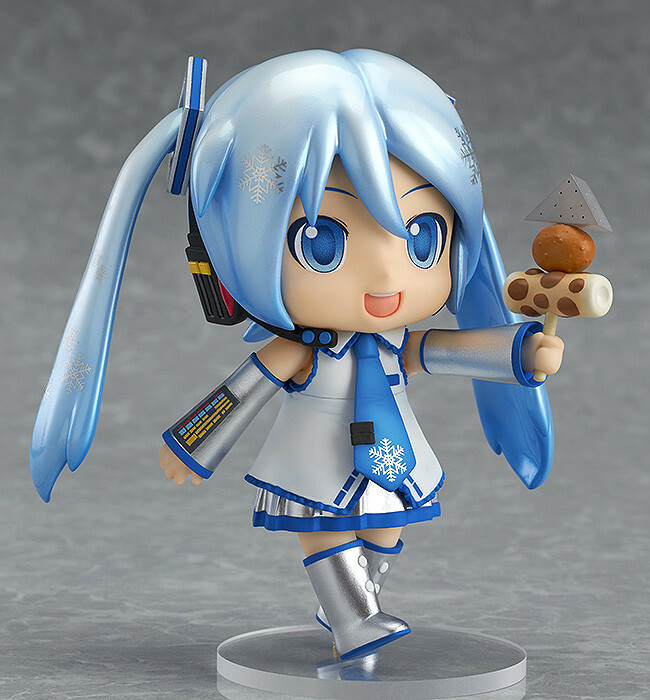 From the 'Character Vocal Series 01: Hatsune Miku' comes a Nendoroid of the rather conspicuous character based on Hatsune Miku, finally in her Snow version! Her strangely thin and flappy twin-tails have been decorated with snowflakes to bring out the snowy theme perfectly! 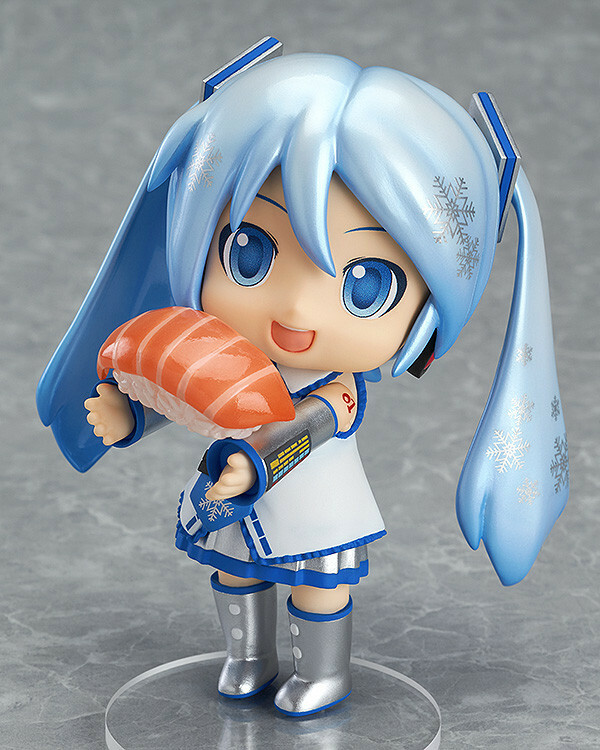 Optional parts include some oden, a meal perfect for the colder Winter months as well as Mikudayo-'s favorite food - salmon sushi! 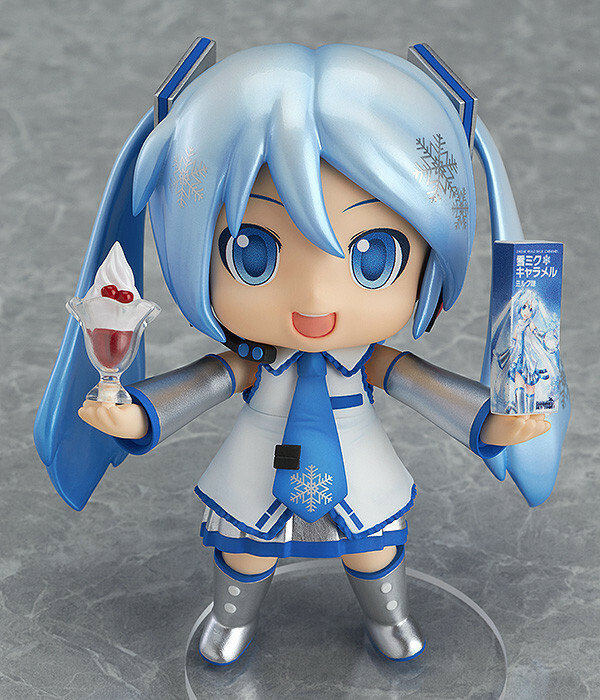 She also comes with the Snow Miku Caramel that was on sale at the Snow Miku Skytown at New Chitose Airport, as well as the popular 'Triple berry parfait with premium soft-serve ice cream made from the milk of Shibecha brown Swiss cattle' that was sold at the MIRAI.ST cafe in Sapporo! 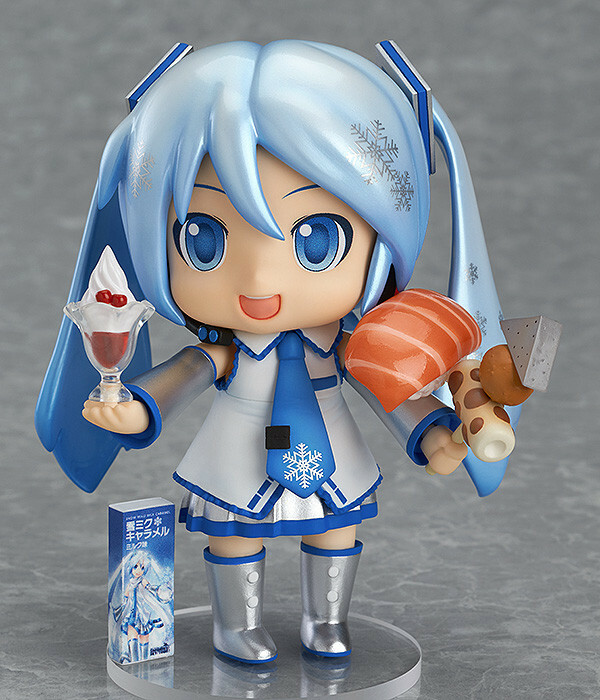 She has so many delicious things to enjoy meaning that you get to enjoy a really happy, snowy Mikudayo-!